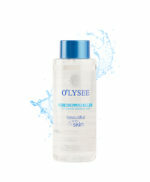 3-in-1 micellar water cleanses, hydrates and tones the skin. Its formula which does not contain alcohol, perfume or colouring agent, gently rids the skin of any impurities, leaving it refreshed. 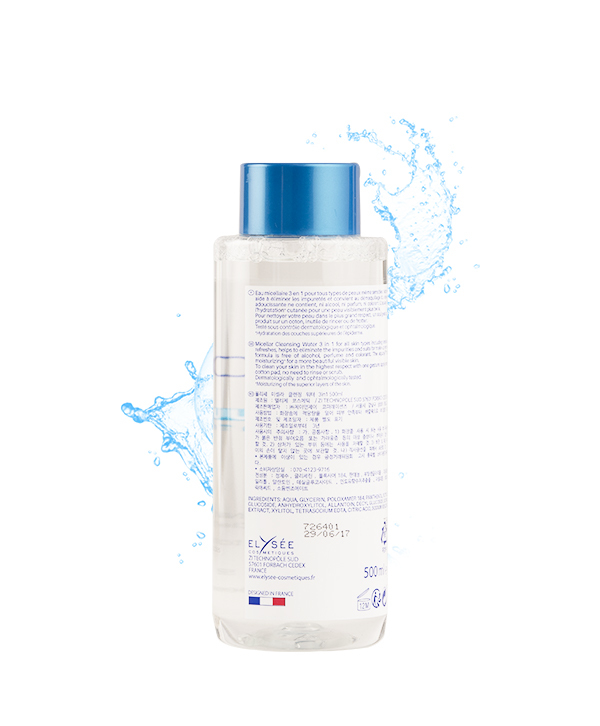 This micellar water is suitable for all skin types, even the most sensitive. 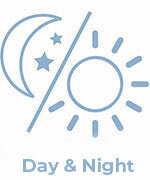 Its fresh, light formula tones and immediately illuminates the skin. Product PAO (period after opening) set at 12 months. 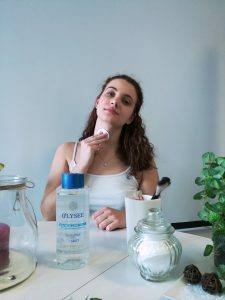 1.How to use O’lysée 3-in-1 micellar water ? “The list of ingredients may be changed. We recommend that you check the list of ingredients on the product”. 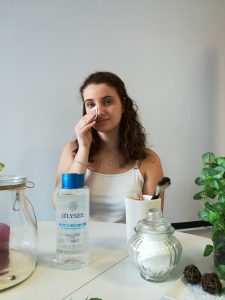 INCI : AQUA, GLYCERIN, POLYXAMER 184, PANTHENOL, ALLANTOIN, XYLITYLGLUCOSIDE, ANHYDROXYLITOL, XYLITOL, DECYLGLUCOSIDE, TETRASODIUM EDTA, CITRIC ACID, SODIUM BENZOATE. 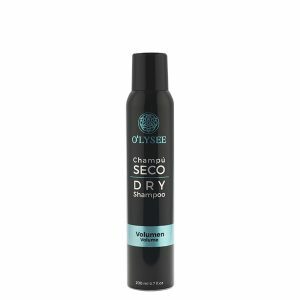 O’lysée dry shampoo brings volume and texture to your hair for an immediate, refreshed look. 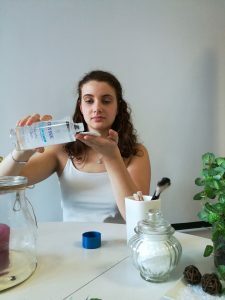 You can still have clean hair even if you don’t have time to use a conventional shampoo ! 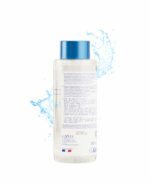 Cleansing face foam for oily skin purifies and gently cleanses the skin at the same time. As gentle as a lotion but as effective as soap, its light, creamy texture with its fresh, subtle fragrance is ideal for oily skin. 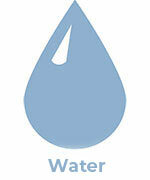 Thanks to its composition, it prevents blemishes and leaves the skin clean and fresh. Use in combination with the mattifying Cream for oily skin for an effective beauty routine. This mist enriched with natural lightening agents obtained from alpine plants and vitamin C derivatives illuminates the complexion, bringing vitality and freshness to the skin. 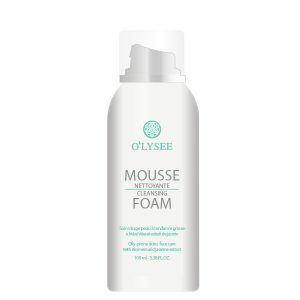 Thanks to the inclusion of glycerine, O’lysée lightening mist provides the skin with the essential hydration it needs throughout the day. Suitable for all skin types.